Bangalore has a quickly growing real estate market. The city has also seen a surge of builders in the recent past. While some of them are truly fantastic at creating homes and office spaces, others you’ll need to be a bit wary of. But what about the best of the best? There are a few elite builders who have set the bar higher and higher, and who have apartments in Bangalore that are adored by homeowners and coveted by investors. Who are they? Let’s take a look. This builder has a staggering track record when it comes to residential apartments in Bangalore. They have developed over 6 million square feet of land for various different verticals. This includes residential, retail, commercial, and hospitality sectors. The Vaswani Group has been awarded and nominated in different ways. The CNBC AwaazCrisil for the CREDAI Real Estate Awards is an example of this, along with ‘Best Commercial Property Of The Year’ at the Realty Plus Excellence Awards. Vaswani Brentwood and Vaswani Reserve are examples of the popular projects undertaken by the Vaswani Group. The Bhartiya Group is best known for its Bhartiya City projects, but its actual success story stretches back decades. The Bhartiya Group started off designing apparel. They had a studio in Milan, and soon their designs were being adopted by internationally renowned luxury brands like Armani, Mango, Zara, and Hugo Boss. The founder was inspired to create the Bhartiya City brand after returning home from many years of travelling to cities like London, Florence, and Munich. Bhartiya’s most popular project is Bhartiya City itself, which is located near Hebbal, in Bangalore. Nikoo Homes is the residential and housing project from this builder. GR Group has been around in Bangalore for more than a decade now. It is a building company that puts its consumers trust and loyalty above all else. The company was founded collectively by Mr. C.R. Gopalakrishna and Mr. P.N. Aswathanarayana. The group has developed over 3 million square feet of land area into 4 commercial projects, 7 residential projects, and 2 land development projects. GR Group is a member of CREDAI Bengaluru. And some of its completed projects include Lavender, Residency, Pinacle, and Lake View. Most of this group’s residential projects are located towards South Bangalore. Prestige Group is one of Bangalore’s foremost builders and has a track record for being consistent in terms of quality as well as speedy construction. 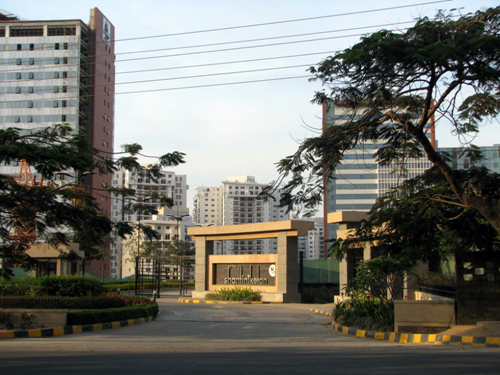 Since 1986, the company has created over 150 real estate projects in Bangalore. Prestige Group is currently the only builder in Bangalore to have received the FIABCI Award for its residential and software projects. 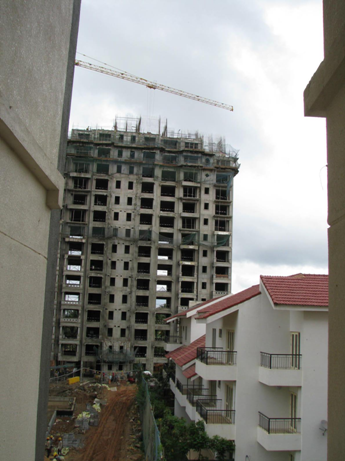 It is also the only builder in Bangalore to be awarded the Crisil DA1 Developer Rating. Jade Pavilion, Spencer Heights, Augusta, Royal Gardens, and Summerfields are just some of the examples of Prestige’s numerous apartments in Bangalore. With its powerful presence in some of Bangalore’s most prominent areas, Salarpuria is one of the biggest builders out there today. They have been around since 1985, and the company was founded in Kolkata. Unlike many other builders on this list, Salarpuria is not only involved in building, but also in architecture, interior design, construction management, infrastructure management, and finance. You can have a look at apartments in Bangalore from Salarpuria as well as other builders in Bangalore by visiting the CommonFloorwebsite. Mantri group, despite being much younger than other builders on this list, is one of Bangalore’s most prominent developers. Since 1999, the company has put up over 20 projects and has built up a land area of over 10 million square feet. The builder also has a number of firsts to its name, including being the first to partner in an FDI configuration with Morgan Stanley Group, being the first to build homes with a full 360 degree view, and being the first to provide its customers with individual swimming pools for penthouses. Some of Mantri’s most prominent apartments in Bangalore are Alpyne, Espana, Glades, Serenity, and DSK Pinnacle.